Contact City VIP Concierge 702.741.2489 for Table & Bottle Service and any and all things VIP New Years Las Vegas. 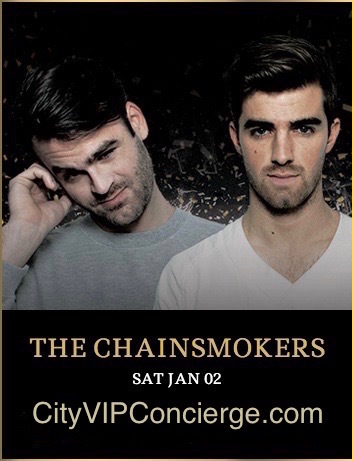 The Chainsmokers are an American DJ duo consisting of Andrew Taggart and Alex Pall. Their 2014 single “#Selfie” reached No. 16 on the US charts and No. 11 on the UK charts.